U.S. car maker Ford seeking to challenge Toyota’s dominance in gasoline-electric vehicles, said it will pass its own full-year record for U.S. hybrid sales this month on demand for its Fusion and C-Max models. Hybrid deliveries for Ford reached a monthly record 8,481 in April, bringing the total this year to 29,561, said Erich Merkle, Ford’s U.S. sales analyst. 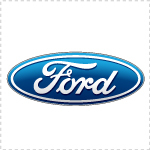 Ford’s annual record for such sales was 35,496 in 2010. MotorTicker | Leaked or not? First Official 2014 Mercedes S-class Photo Published by Benz Itself? It appears as though we have been gifted our first look at the 2014 Mercedes-Benz S-class courtesy of Mercedes-Benz itself. A photo of the redesigned luxury sedan apparently popped up on Benz’s Austrian consumer website; it allegedly was quickly taken down, but not before French motor blog site blogautomobile.fr snatched it and published it. Exactly 444 products are to be found on the 170 pages of the new Mercedes-Benz Collection 2013 catalogue. Highlights include the Fitness, Trekking and Kids’ Bikes as well as high-quality luggage. The new catalogue is available now from Mercedes-Benz sales partners or can be browsed online at www.mercedes-benz-accessories.com. From 10 to 14 April 2013, Mercedes-Benz Classic is making the exclusive history of the S-Class and its pioneering innovations the main focus of its brand presentation at the 25th Techno Classica in Essen. The world’s oldest car manufacturer will be presenting its exhibits at the largest international trade fair for classic vehicles on a stand covering 4500 square metres in hall 1 of the Essen Exhibition Grounds. 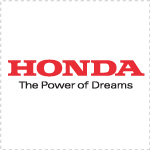 29.03.2013 – Honda has developed an accident avoidance support system called City-Brake Active System. Affalterbach March 28, 2013 – The customer sports program of Mercedes-AMG will take an active part in the 2013 racing year all over the globe. The SLS AMG GT3 will moreover start in the US for the first time. In the 2013 motorsports season, the race version of the gullwing car will take part in more than 22 race series on five continents. The German team H.T.P. Motorsport will enter three SLS AMG GT3 into the new FIA GT World. Seyffarth Motorsport will participate in the race series as well. MotorSports | Renault Alpine: Fastest lap time at Circuit Paul Ricard … out of the box! Renault and Ross Lovegrove will unveil a concept-car at the Triennale of Milano April 8th at 12:00, a new creation that underline Renault’s Design strategy.